They prepared for weeks in advance and kicked off the big day with a parade, where local schoolkids dressed up in costumes and marched down main street. They were given bags of candy and the night continued on with a big bonfire near the town square. 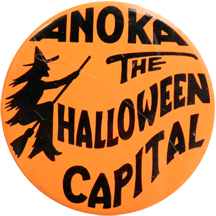 It was wildly successful, kicking off an annual tradition that still continues to this day.In the 1960’s, Anoka residents even took their cause to Washington D.C., to officially be recognized as the Halloween Capital of the World. Each year different events are added, and the celebration has went from one day to weeks of activities. They now do a house-decorating contest, costume contests, a 5K, multiple parades, and all kinds of other stuff you would typically find at a town festival. 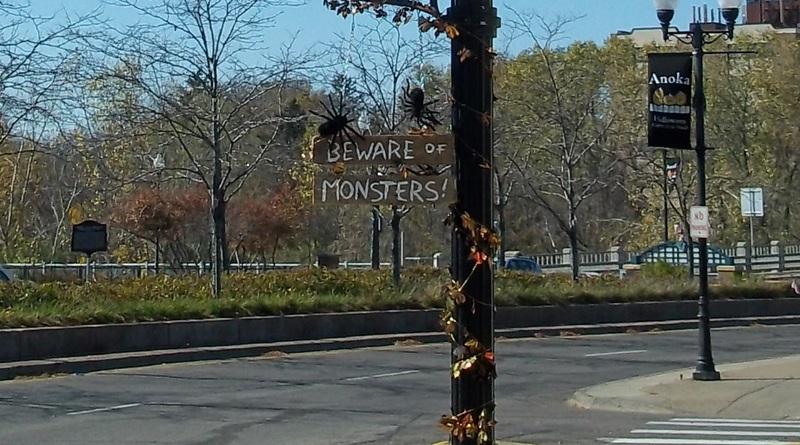 The town is decked out in Halloween-related decor, such as the downtown streetlamp posts as well as the shop storefronts and municipal buildings. Even on top of City Hall there is a neon Jack-o-lantern that lights up at night. 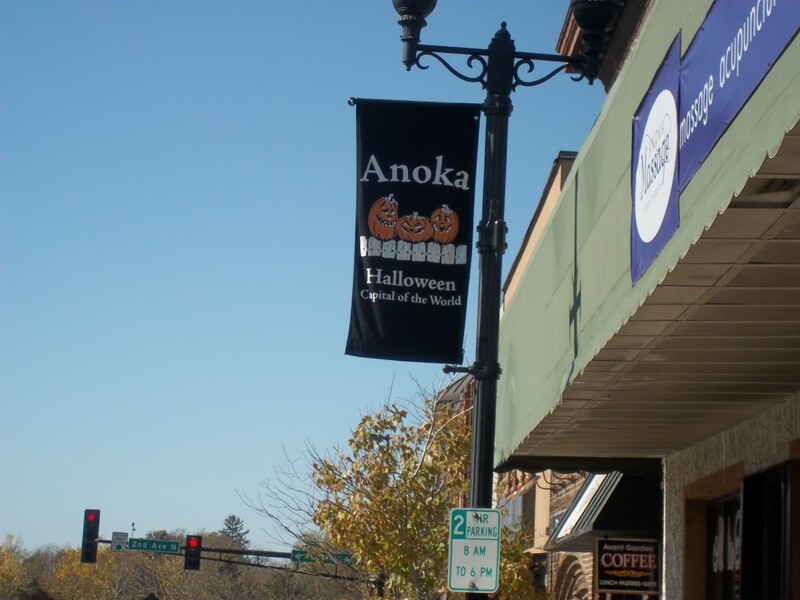 Unfortunately I passed through Anoka during the day and it was barely visible and not lit up, therefore resulting in no picture of said Jack-o-lantern, but a few of the signs around town. 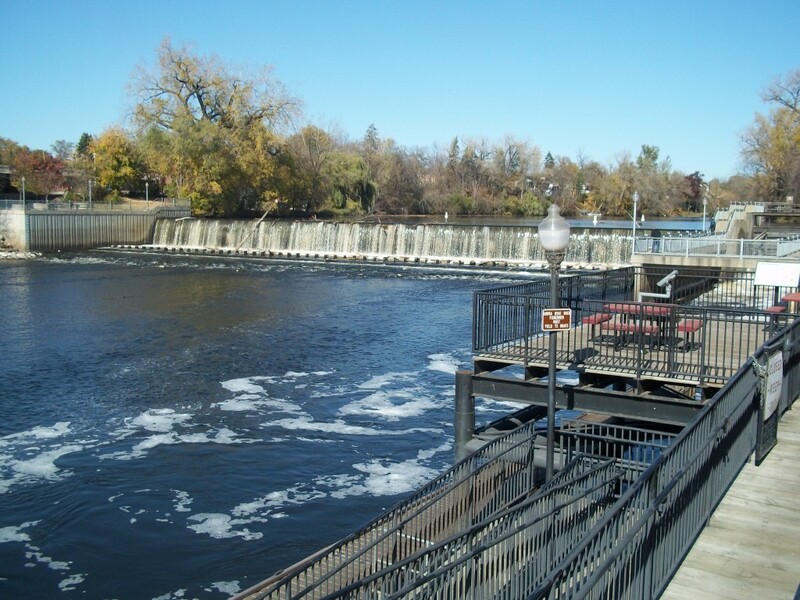 Anoka also has a pretty cool little historic downtown in which the Mississippi River meanders through, and there is a nice dam to add to the ambiance. 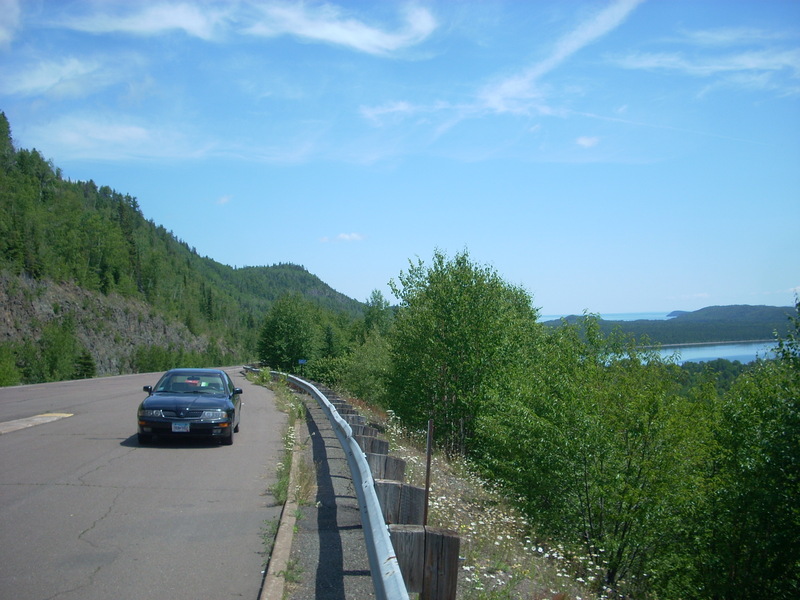 This town certainly makes it into our top 20 coolest towns of Minnesota. So Minnesota makes it on the map for yet another claim, and they’ve taken it and ran with it and no one can really dispute the success of it. 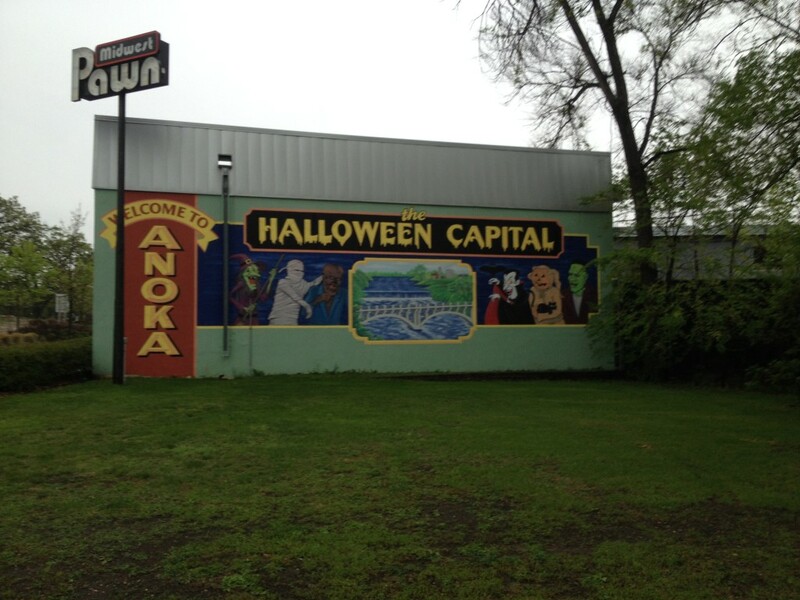 I suppose it’s probably impossible to prove who technically had the first Halloween celebration, being the tradition of All-Hallow’s Eve dates back to the 1700’s, but Anoka’s claim seems to be holding up.